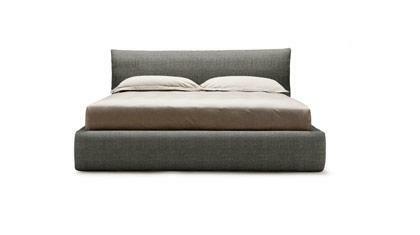 You can buy the double bed with storage box Chelsea in our showroom in Meda or online. Chelsea is a double bed with a top quality storage box padded and decorated with elegant, sophisticated sartorial details. Thanks to the soft quilted headboard, Chelsea satisfies your every need for comfort and relaxation. You will get an incredible sense of satisfaction both from its softness as well as from its ample storage box. The completely removable cover is in a soft yarn-dyed Jacquard fabric in Grey in a mixture of cotton and linen. Chelsea is available for delivery after just 48 hours of placing the order with the BertoPrima service. 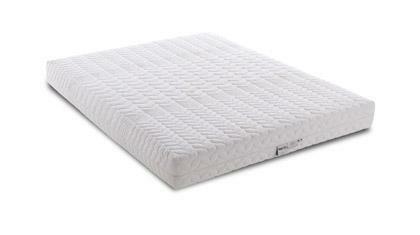 Purchase our beds with the 100% Refund No Problem formula within 14 days of delivery. For further information, please consult the General Sales Conditions or call +39 0362 333082. • You are buying a product realised exclusivity for the #BertoPrima service, ready for delivery. • You receive with immediate availability, all the quality of a BertO product produced by hand in our Sartorial Upholstery division in Meda. • We select the highest quality fabrics, colours and materials, chosen personally by our interior designers and upholsterers, to guarantee the best upholstery for every model according to the structure, the padding and the style. 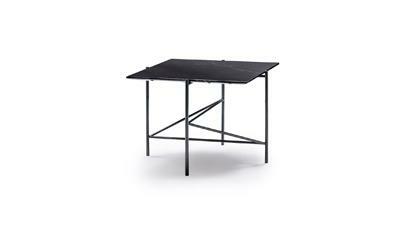 Bed base: H. cm. 33 with high resistant double steel rail with stove enameled black lacquered finishing and completely removable cover available. Storage box: provided with a high resistant gas lift mechanism. The double bed with storage box Chelsea is ready to be shipped. To receive information on delivery, contact us or you can arrange pick-up at our Fine Upholstery Atelier. We will be happy to meet all your needs.